Reminiscent of the tartan pins worn by clansmen of ancient Scotland, the Pinafore Monogram Return Address Stamp features a beautifully intricate, round leaf design encircling a central initial. Your name and address appear on the outside of the circle, completing this round return address stamper. Order yours today and it will ship on the next business day. Scroll down to see how your initial will look in this stamp's unique font. After filling in all of your address and name information, select your stamp type, color and size. Add on a refill ink bottle for only a few dollars more, then click "Add To Cart" to proceed to checkout. Pinafore Monogram Return Address Stamp Details Ditch those ugly address labels of old! 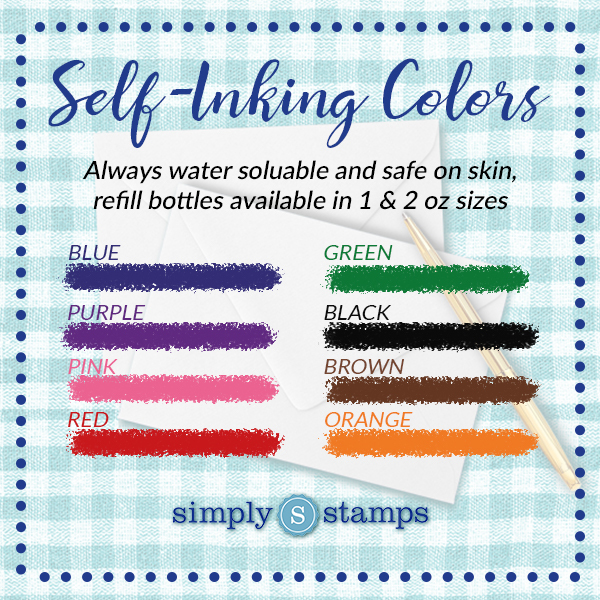 Choose a less complicated way to sending out all those greeting cards through the year with the help of one of our custom self inking address stamps! Address labels are gooey and tear quite easily, making their seeming advantages more of a drawback than anything. Say it with stamps instead, and get through your everyday task list in a small fraction of the time. As you can imagine, this Pinafore Monogram Return Address Stamp will benefit you throughout the holidays! Made with only exceptional materials, this practical self inking stamp will endure for several years to come! Purchase yours right now!